• Black Rock Park, 3400 RR 261 in Buchanan Dam — This 25-acre Lower Colorado River Authority park has 18 cabins for rent, RV hookups, and an events hall. Kayak and canoe rentals available. Enjoy fishing and swimming. The park doesn't have a boat ramp, but the Llano County park next door does. Fees required. Go to lcra.org/parks or call (512) 369-4774. • Camp Creek Park, 1221 CR 343 east of Marble Falls off RR 1431 — The park sits on the upper end of Lake Travis and offers fishing or picnicking under shady pecan trees. Tent camping is allowed. Fees required. Go to lcra.org/parksor call (512) 473-3366. • Cedar Point Recreation Area, 545 RR 3014 in Tow — At 310 acres, this LCRA facility is one of the largest public pieces of land on Lake Buchanan and features 3 miles of shoreline. Hike, fish, camp, or watch wildlife. Overnight camping is on a first-come, first-served basis. Entrance fees. Go to lcra.org/parks or call (512) 473-3366. • Gloster Bend Recreation Area, 3533 Hollingsworth Road east of Marble Falls. 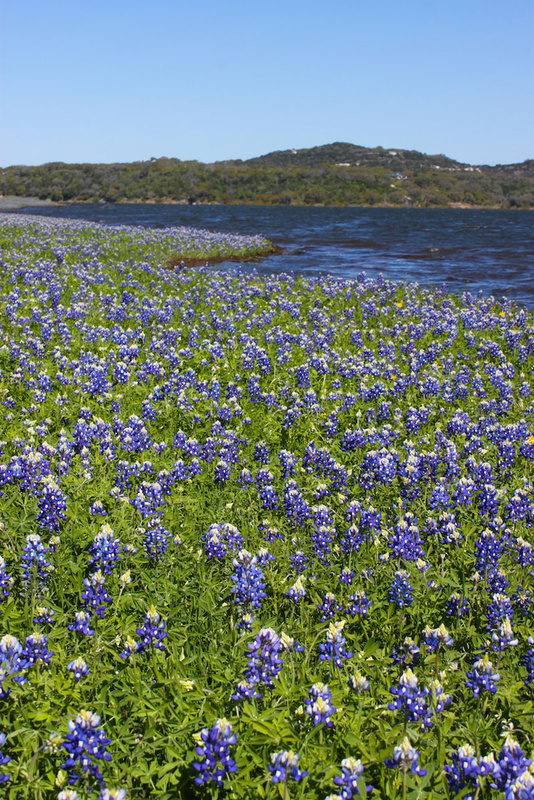 — This 508-acre, day-use park features more than a mile of shoreline and two secluded coves on Lake Travis’s north shore. Most visitors come to use the boat ramp, which is open 24 hours. This park is ideal for picnicking, fishing, and swimming. Entrance fees. Go to lcra.org/parks or call (512) 473-3366. • Grelle Recreation Area, 640 CR 412 in Spicewood — A 276-acre park wrapped around an isolated cove on the south shore of Lake Travis. With 7 miles of wooded trails, this park is ideal for horseback riding (you provide the equine) and hiking with hills to spectacular views of Lake Travis. The cove’s grassy shoreline is great for swimming and launching canoes and kayaks. Tent camping allowed. Entrance fees. Go to lcra.org/parks or call (512) 473-3366. • Muleshoe Bend Recreation Area, 2820 CR 414 in Spicewood — This LCRA park is an outdoors enthusiast's mecca with a 9.8-mile mountain-biking trail (some of it fairly challenging single-track), running trails, and horseback riding (you provide the equine). Camping is allowed and kayaks and canoes are available to rent. 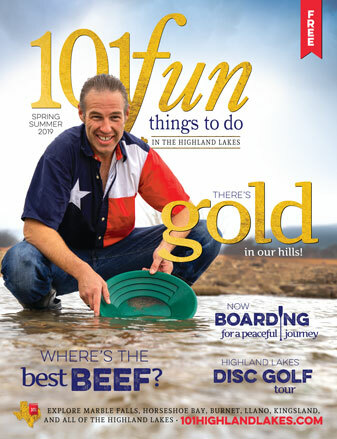 The park is located on the shores of Lake Travis, so it's a great place to enjoy water activities. The boat ramp is accessible 24 hours a day. Fees required. Go to lcra.org/parks or call (512) 473-3366 or 1-800-776-LCRA ext. 3366. • Narrows Recreation Area, 2550 CR 411 in Spicewood — Though small, this recreation area offers the only public boat ramp on Lake Travis’s upper south side. It also has a few picnic tables. The facility is closed at night except for the boat ramp. Fees required. Go to lcra.org/parks or call (512) 473-3366 or 1-800-776-LCRA ext. 3366. • Pedernales River Nature Park, 404 U.S. 281 North in Johnson City — This 222-acre day-use LCRA park features shoreline fishing on the Pedernales River. The numerous trees are ideal for a picnic. There’s a 1.5-mile trail for walking and two pavilions available to rent for special occasions. Swimming is not allowed. Fees required. Go to lcra.org/parks or call (512) 473-3366 or 1-800-776-LCRA ext. 3366. • Shaffer Bend Recreation Area, 706 CR 343A east of Marble Falls — At 508 acres, this LCRA park has a lot to offer, including day hikes and overnight camping (a limited number of fire rings means s’mores). It has trails for biking, hiking, and horseback riding, while the shore offers fishing and swimming access. Fees required. Go to lcra.org/parks or call (512) 473-3366 or 1-800-776-LCRA ext. 3366. • Turkey Bend Recreation Area, 4000 Shaw Drive east of Marble Falls — This 1,146-acre LCRA park nestled along the Colorado River arm of Lake Travis is a great backdrop for fishing and camping. It doesn’t have a boat ramp, but you can launch canoes and kayaks from the park. The campsites are “unimproved,” but the views make up for it. Fees required. Go to lcra.org/parks or call (512) 473-3366 or 1-800-776-LCRA ext. 3366.